Kindness of the hosts, incredible beaches, beautiful view from the house. I visited Vila Ilis with my family (4 adults) on a vacay trip. Our hosts, are two splendid people, eager to help you at any time. 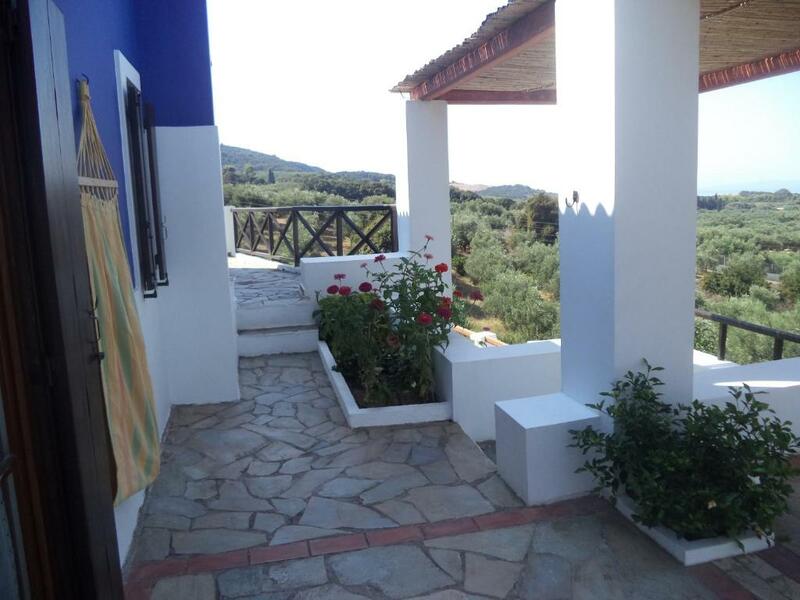 The villas (we had the yellow one), are situated on a gentle hill, with a spectacular view during the whole duration of the day towards Ionian sea, and the surroundings which are full of olive trees. Parking was easy right in front of the villa. 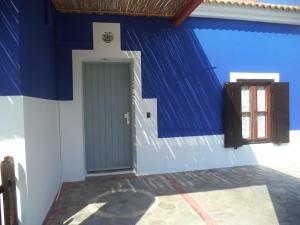 The space provided by the house itself for 4 adults is adequate, with a kitchen, 2 bedrooms and a bathroom. A/C is present in every room, while wifi coverage is adequate. Everything is well maintained, while the craftship of the owners is visible all over, with very nice stone-made floors and flowerpots at the balconies. The villa is fully equipped and the surroundings are very quiet. On the lower floor there is a kitchen, dining room and living room. in the upper one there are two bedrooms and a bathroom. Terrace is great. It was very hot, but windy and you don’t really feel the heat. owners are very friendly and are always available for assistance. Strongly recommending this place if you are looking for a peaceful vacation. Die drei Häuser liegen eng beisammen ohne echte bauliche Trennung im Grünen. Sehr schöner Blick ins Grüne und zum Meer in der Ferne. Häuser und Gelände sehr gepflegt, umfassende Küchenausstattung. Täglich kommt jemand zum Putzen, Betten machen, Müll wegbringen und nach dem Rechten sehen ins Haus. Zu Fuß könnte man sicher den Strand erreichen, das Dorf eher nicht, es gibt schlicht keine Fußwege. Dafür kann man am langen, sehr schönen Strand wandern, der nur wenig von angespültem Müll beeinträchtigt ist. Die Eigentümer sind sehr nett, sehr kontaktfreudig, bemühen sich aber meist einen wenig zu stören. Sie wohnen in einer Souterrainwohnung unter dem roten Haus und sind immer da oder im kleinen Garten vor den Häusern. Die anderen Häuser nutzen sie teils selbst oder für Familie. 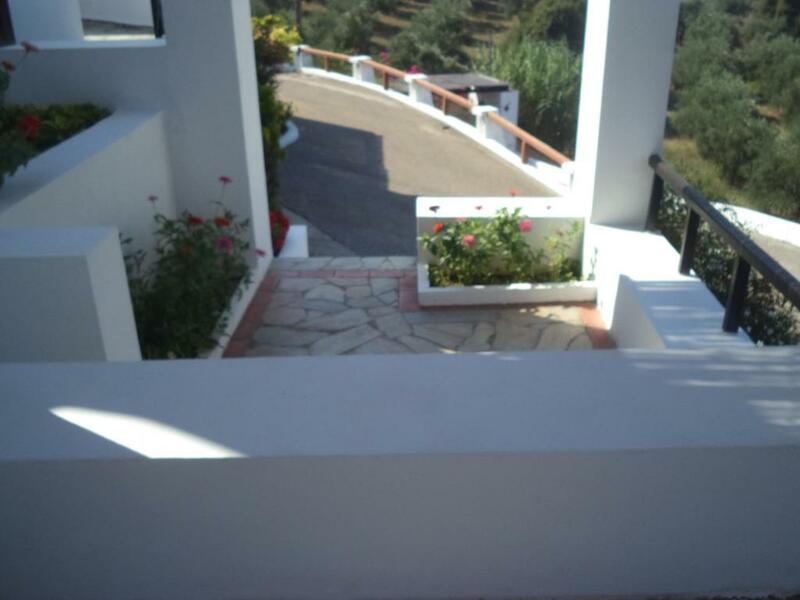 Wir waren begeistert von der liebevoll gestalteten Anlage und dem Haus mit dem schönen duftenden Garten sowie den zuvorkommenden Eigentümern, die stets gute Tipps zur Umgebung und zu Griechenland geben konnten und die uns mit Oliven und Olivenöl aus eigener Herstellung verwöhnt haben. Uns allen, auch unseren kl. Kindern, ist die Abreise sehr schwergefallen. Wir haben uns sehr wohl gefühlt! Außerordentlich aufmerksame Gastgeber, die uns sehr gut umsorgt und beherbergt haben. Neben der schönen Unterkunft punkten Joanna und Panagiotis mit ihrer Herzlichkeit und Großzügigkeit, die von frischem Obst, Oliven & Olivenöl bis hin zu sehr feinen Ausflugs- und Restauranttipps geht. Wir haben uns sehr wohl gefühlt und kommen sicher wieder. 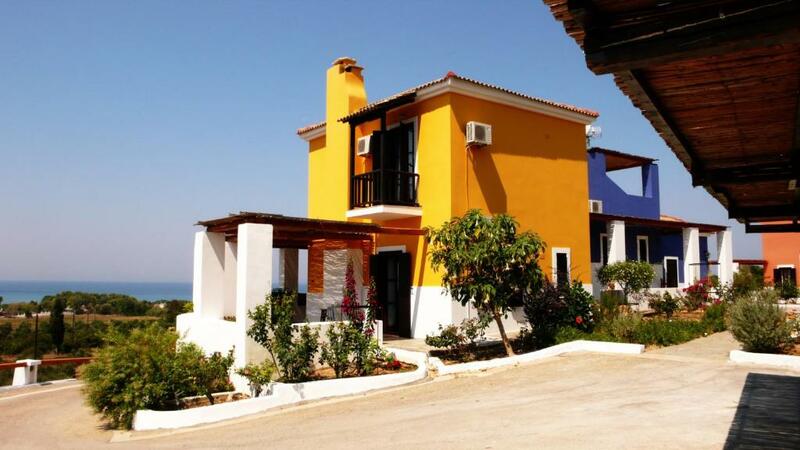 Lock in a great price for Ilis Villas – rated 9.1 by recent guests! Featuring a garden and built in lively colors, Ilis Villas is located 3.1 mi from Kastro Village. All villas offer fully equipped accommodations with free WiFi access and free parking. The sandy beaches can be reached within 1,950 feet. Opening to a balcony with Ionian Sea views, all air-conditioned and bright villas of Ilis are fitted with built-in sofas. Each consists of 2 bedrooms, an open-plan seating area with satellite TV and a kitchen with stove and dining area. Balconies are also equipped with a hammock. A safe is included in all units. Other facilities include a BBQ and an outdoor, traditional oven. Two external cold-water showers are also available. A mini market for the general supplies, a tavern and food kiosks can be found within 1,950 feet. The medieval castle of Chlemoutsi is at a distance of 3.1 mi. 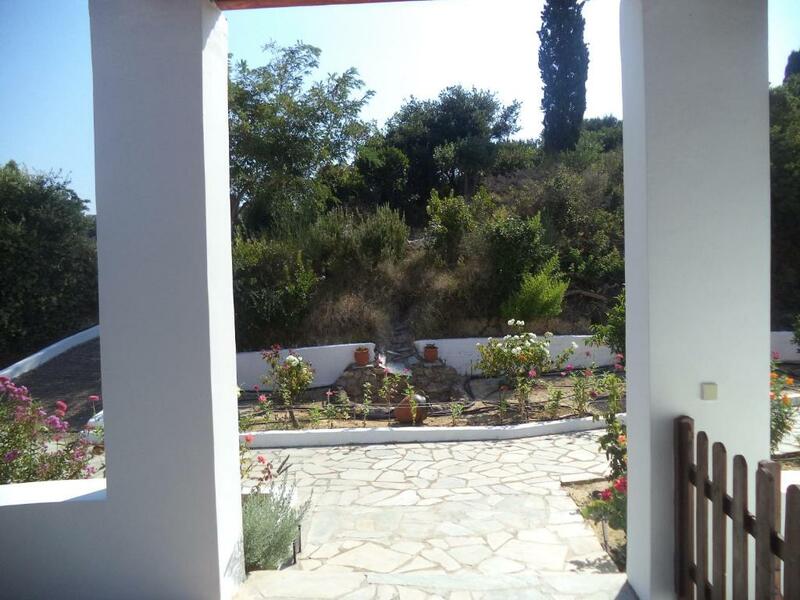 Ancient Ilis is 19 mi from the property, while Ancient Olympia is 37 mi away. 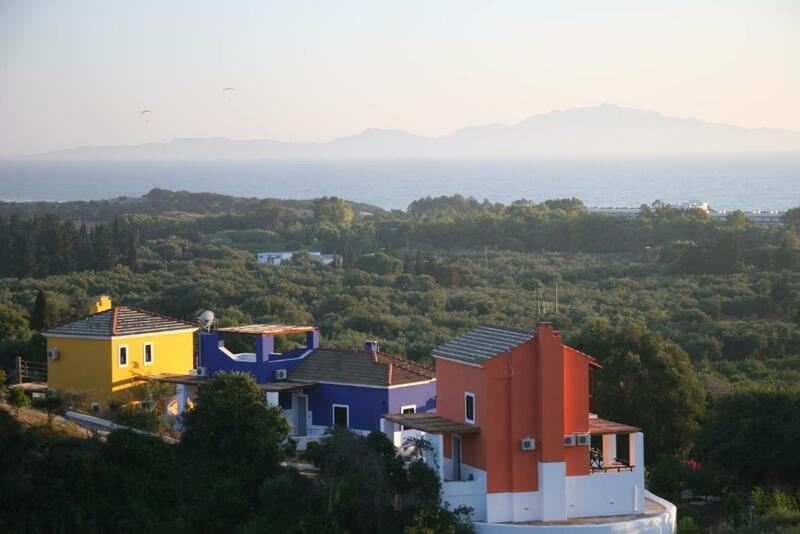 This property also has one of the top-rated locations in Kyllini! Guests are happier about it compared to other properties in the area. When would you like to stay at Ilis Villas? Fitted with built-in sofas and a fireplace, this air-conditioned and bright villa opens to a balcony with Ionian Sea views and a BBQ. It consists of 2 bedrooms, a seating area with satellite TV and a kitchen with stove and dining area. Free Wi-Fi is provided. Please note that the extra bed is a roll-away bed in the open-plan room. Fitted with built-in sofas and a fireplace, this air-conditioned and bright villa opens to a balcony with Ionian Sea views. It consists of 2 bedrooms, a seating area with satellite TV and a kitchen with stove and dining area. Free Wi-Fi is provided. 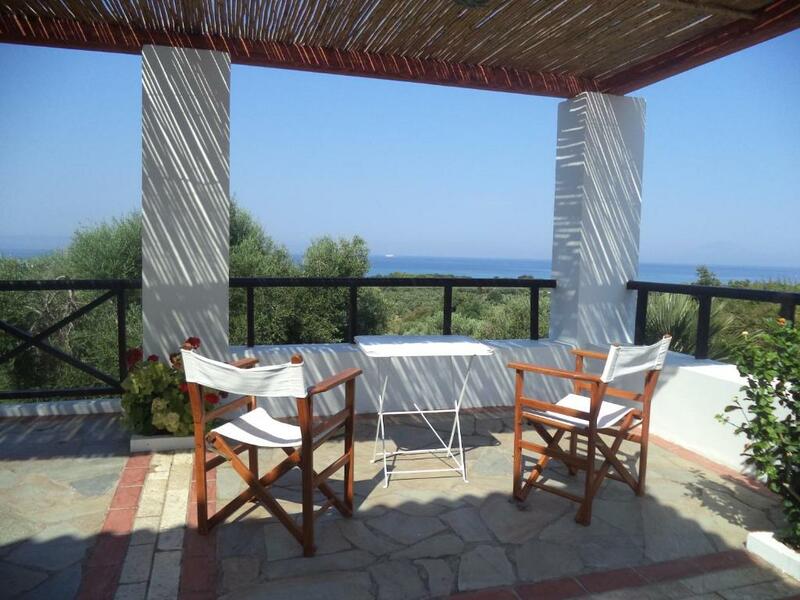 The selection of location so as to have great view, walking distance to beaches, away from noises. Everything was supervised during construction up to last detail and provided facilities that comfort living. Family voted for the villas΄ colors. One can see, within the property, real trees of olives, figs, lemons, oranges & tangerines, apples e.t.c. Depending on the season, one can also cut and eat the fruit from the trees. Usually we, as landlords, offer them these fruit or products, such as olives. We always as well, have two bottles of cold water in the refrigerator of each villa, so one can refresh himself with a glass of cold water on arrival and a ball of olives. Late in the afternoon one can seat on a veranda and watch the sun setting while enjoying a glass of wine. If the guests have small children, usually they play around the gardens or at the verandas. 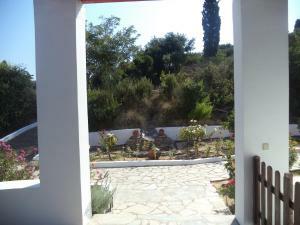 We have noticed that at Yrmyni roof terrace, the blue lilac villa, guests love to do joga. My favorite thing is to take very good care of the villas themselves, the flower gardens & yards so as all to be nice and clean. I as well love going for swimming in these dreaming waters and then take a snack at any beach bar (Kiosk) in the nearby area. One can swim and then directly walk into the restaurants & kiosks on the beaches, so as to enjoy nice food (meat or fish), coffee or drink, as he is cool and fresh with his swimming suit. One can go for horse riding or take a round with a horse cart at Loutra Kyllinis 6Km. If someone wishes to go sight seeing, he can visit Ancient Olympia 70Km, Mideval Chlemoutsi Castle 5Km, Apollon Temple 120Km, St Andrews church in Patras 80Km, & mideval monastries. We can arrange on request, a visit at an Oil-Press unit as they operate in Nov-Jan. One can visit at 80Km the Wine Distillery of Achaia Claus in Patras. One can also make a day trips to the nearby islands of Zakynthos or Kefallonia, by taking a ferryboat from nearby 9Km Kyllini port. 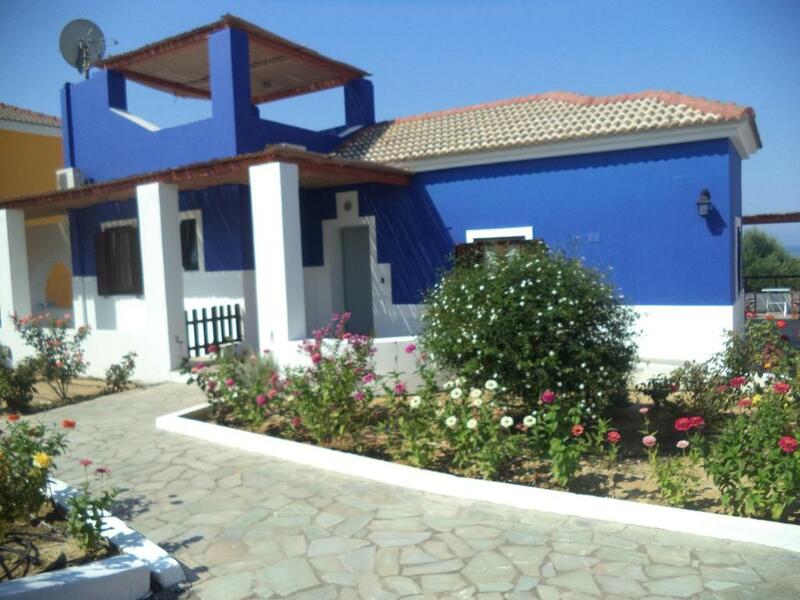 House Rules Ilis Villas takes special requests – add in the next step! Ilis Villas accepts these cards and reserves the right to temporarily hold an amount prior to arrival. Please note that guests can reach the property via the airports of Athens, Araxos or Kalamata and then by vehicle via the motorways. Additionally, they can reach it through frequent ferry boat routes via the islands of Zakynthos and Kefalonia. Guests traveling with children are requested to inform the owner about their age in advance. Also note that linens are changed every 3 nights, while a washing machine is available upon charge. Please inform Ilis Villas of your expected arrival time in advance. You can use the Special Requests box when booking, or contact the property directly using the contact details in your confirmation.